The album is described as “a collection of songs that carry a message of hope, joy, and a passionate pursuit of the presence of God”, and seeks God’s Spirit to come like it did in the Bible. As a fire. Jesus Culture’s 11th album so far, Living With a Fire features Kim Walker-Smith, Chris Quilala, Bryan and Katie Torwalt, Chris McClarney, and Derek Johnson. It is an encouragement for all of us to chase after the freedom found in God's Spirit, and to rediscover the infectious passion that comes from encountering God. The lead single from the album, ‘Freedom’, is available to listen to today. Bringing everything that you know and love in a Jesus Culture song, ‘Freedom’ is an uplifting and musical loosening of hearts and spirits to praise God with absolute abandon. It’s calling to ‘dance like the weight has been lifted’ celebrates everything God has done in us. 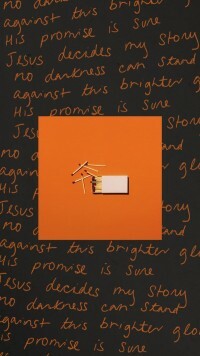 Living with a Fire is promising to be Jesus Culture’s most promising, exciting, and powerful release to date. Due for release on the 31st August, you can pre-order your copy of Living With a Fire today!